Death on the Lips is a Sotil and Savage Mystery—a novella length story set in an England of the Fourteenth Century where magic works and demons are real. The Countess of Suffolk lies dead in her own bedchamber. Her body has been horribly mutilated. Clearly a case of a demon attack according to her chamberlain. The alchemist she retained has fled the house—and surely he must be to blame? But when Jake finds a pot of lip paint and a tally stick other possibilities emerge. It’s another case for Roger Sotil and Jake Savage, Inquisitors of Sorcery to the court of Richard II. And as usual things are not as they appear. Roger Sotil and Jake Savage also appear in a novel length story: Hell has its Demons—an exciting medieval fantasy thriller. 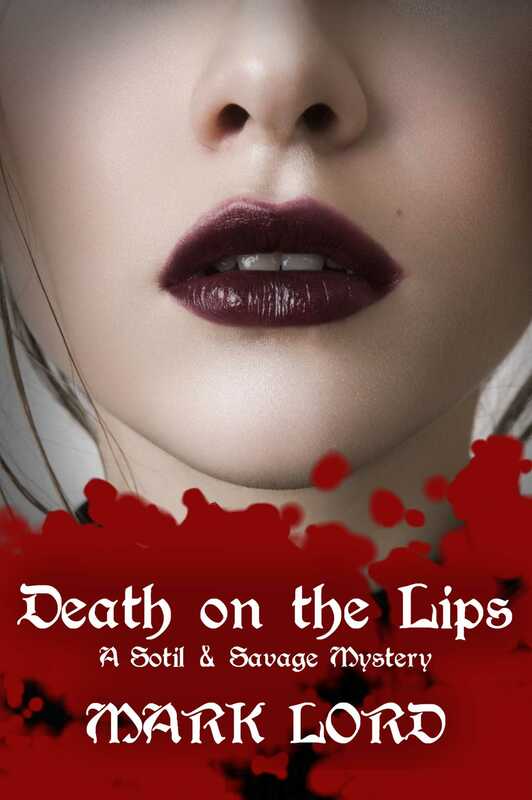 Death on the Lips is currently available exclusively as an eBook at Amazon.com | Amazon.co.uk and all the other Amazon online bookstores around the world.